While the Erie Canal has closed for the season the events keep coming and at the Chittenango Landing Canal Boat Museum Museum October is full of events starting with pumpkin carving on Oct. 19th. & 20th. Deadlines to attend for free is Oct. 18th. noon for Oct. 19th. Carving night and Oct. 19th. by noon for Oct. 20th. Carving Night. 1 free pumpkin per family member, food and drinks will be provided. Event is free for those who register by above deadlines, or $5.00 per family at the door. All pumpkins carved will be entered into the Pumpkin Carving Contest and placed on the Candlelit Pumpkin Path for all to see. Eerie Halloween Family Fun Event!!! 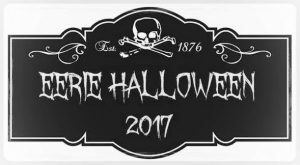 Come out and join us in some community spirit, fellowship and fundraising at this year’s Eerie Canal Towpath Run Best Costume Awards for runners and walkers!! Come out and join us in some community spirit, fellowship and fundraising at this year’s event. Time: 11 am – 2:30 pm on Sat. (3.5 hr. cut off time) 11 am. 15 mile run start, 11:30 am 5K start. 11:45 2-mile walk starts. The run is hosted by Chittenango Rotary Club, Chittenango Landing Canal Boat Museum and the town of Sullivan Parks and Recreation Department and the New York State Office of Parks, Recreation and Historic Preservation.